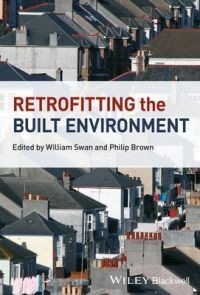 Will Swan is a Senior Lecturer in Buildings Retrofit in the School of the Built Environment at the University of Salford. He leads a number of projects in the field of sustainable retrofit, covering a number of topics including monitoring, behaviour and retrofit project delivery, as part of Salford's Applied Energy and Buildings Research Group. He sits on the Greater Manchester Buildings Group and also is Chair of the Retrofit Innovation Group. Philip Brown is Director and Senior Research Fellow at the Salford Housing & Urban Studies Unit (SHUSU) at the University of Salford. He is the lead academic on end-use energy demand within the Applied Energy and Buildings Research Group, and sits on Greater Manchester's Low Carbon Economic Area group for Customer Engagement.